1.1 When you submit an order through our website it will constitute an offer to purchase the goods. We will send you an email acknowledging its receipt. Our subsequent dispatch of the goods will comprise the acceptance of your offer and will bring into existence a legally binding contract between us provided that you have specified a UK delivery address with your order. 1.2 Your contract will be with Delicioso UK Ltd, (company number 6374926), whose address is Unit 8, Tower Business Park, Berinsfield, Oxon, OX10 7LN. 1.3 Alcohol is only available for sale to persons aged 18 or over. By placing an order you confirm that you are at least 18 years old. 1.4 NOTHING IN THESE TERMS AND CONDITIONS AFFECTS YOUR STATUTORY RIGHTS AS A CONSUMER. 2.1 The prices payable for goods that you order include taxes and these are set out in our website www.delicioso.co.uk . You will be required to pay extra for delivery and it might not be possible for us to deliver to some locations. Delivery charges are set out in our website. 3.1 You may cancel your contract with us for non-perishable goods you order at any time up to the end of the seventh working day from the day after you receive the ordered goods. You do not need to give us any reason for cancelling your contract in this way nor will you have to pay any penalty. To cancel your contract you must notify us in writing at our address Unit 8, Tower Business Park, Berinsfield, Oxon OX10 7LN. 3.2 You acknowledge that we cannot accept cancellation of your contract to purchase perishable goods in this way because they are by their nature liable to deteriorate or expire rapidly. 3.3 If you have received the non-perishable goods before you cancel your contract then you must send the non-perishable goods back to our address at your own cost and risk. If you cancel your contract but we have already dispatched the goods for delivery you must not open the non-perishable goods when they are received by you and you must send the non-perishable goods back to us at your own cost and risk as soon as possible. 3.4 Once you have notified us that you are cancelling your contract for non-perishable goods, any sum debited to us from your credit card for them will be re-credited to your account as soon as possible and in any event within 30 days of your order provided that the goods in question are returned by you and received by us in the condition they were in when delivered to you. If you do not return the goods delivered to you or do not pay the costs of delivery, we shall be entitled to deduct the direct costs of recovering the goods from the amount to be re-credited to your account. 4.2 If we do cancel your contract we will notify you by e-mail and will re-credit to your account any sum deducted by us from your credit card as soon as possible but in any event within 30 days of your order if you do not wish to place an alternative order. We will not be obliged to offer any additional compensation for disappointment suffered. 5.2 If you have specified a delivery address with your order which is outside the UK you must observe and comply with all applicable regulations and legislation, including obtaining all necessary customs, import or other permits to purchase goods from our site. The importation or exportation of certain of our goods to you may be prohibited by certain national laws. We make no representation and accept no liability in respect of the export or import of the goods you purchase. 5.3 Delivery will be made as soon as possible after your order is accepted and in any event within 30 days of your order. 5.4 You will become the owner of the goods you have ordered when they have been delivered to you. Once goods have been delivered to you they will be held at your own risk and we will not be liable for their loss or damage. 6.1 If the goods we deliver are not what you ordered or are damaged or defective or the delivery is of an incorrect quantity, we shall have no liability to you unless you notify us in writing at our address: Unit 8, Tower Business Park, Berinsfield, Oxon 0X10 7LN, of the problem within 30 working days of the delivery of the goods in question. 6.2 If you do not receive goods ordered by you within 30 days of the date on which you ordered them, we shall have no liability to you unless you notify us in writing at our address of the problem within 40 days of the date on which you ordered the goods. 6.3.4 to refund to you the amount paid by you for the goods in question in whatever way we choose. 6.4 Save as precluded by law, we will not be liable to you for any indirect or consequential loss, damage or expenses (including loss of profits, business or goodwill) howsoever arising out of any problem you notify to us under this condition and we shall have no liability to pay any money to you by way of compensation other than to refund to you the some or all amount paid by you for the goods in question under clause 6.2 above. Notwithstanding the foregoing, nothing in these terms and conditions is intended to limit any rights you might have as a consumer under applicable local law or other statutory rights that may not be excluded nor in any way to exclude or limit our liability to you for any death or personal injury resulting from our negligence. 7.2 All notices from us to you will be sent to you at the email address you provide in your order form. We shall have no liability to you for any failure to deliver goods you have ordered or any delay in doing that is caused by any event or circumstance beyond our reasonable control including, without limitation, strikes, lock-outs and other industrial disputes, breakdown of systems or network access, flood, fire, explosion or accident. 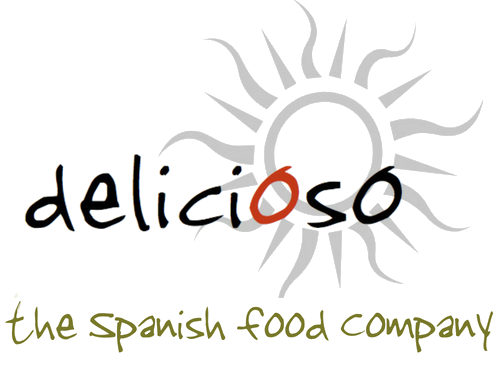 Text, images and other content within the pages of our website and Brand Names & Trademarks are the property of Delicioso or its affiliates and may not be copied, printed, reproduced, republished, downloaded, broadcast or transmitted in any way except for your own personal non-commercial use. You are granted a limited licence to access and make personal use of our website, which does not include the right to collect or use product listings, descriptions, images, meta-tags or any other material for your use or the use of any other trader.